Welcome to West Stoke Stables, the home of McTimoney Animal Practitioner and Equine Sports Massage Therapist, Rachel French (Gardener). Rachel has experience of working with different types of horse, dogs, and other animals, is fully insured, works only with veterinary permission and you can expect a sympathetic and professional approach. She is an accredited member of both The McTimoney Animal Association and The British Complementary Medicine Association. 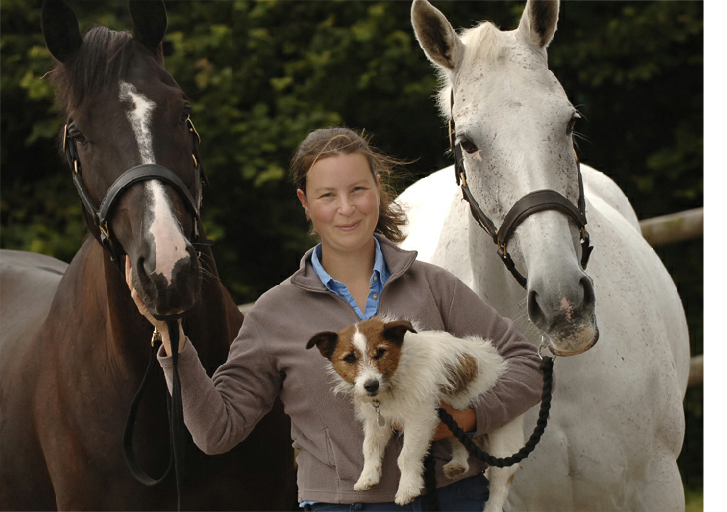 Rachel’s qualifications include an MSc in Chiropractic (Animal Techniques), BSc (Hons) in Equine Science and a certificate in Equine Sports Massage. Rachel is also a BHS AI registered riding instructor and regularly competes her own horses.